Skoda India has launched its latest invent “Skoda Rapid” residing in the C-Segment. With Skoda India having presence in most of the car segments, the company has made one more addition in sedan car segment by launching the all new smoking hot Skoda Rapid. This latest entry in the fleet of Skoda India is a startling resemblance to its sibling Volkswagen’s Vento. Skoda Rapid incorporates the same engine as added in VW Vento i.e. 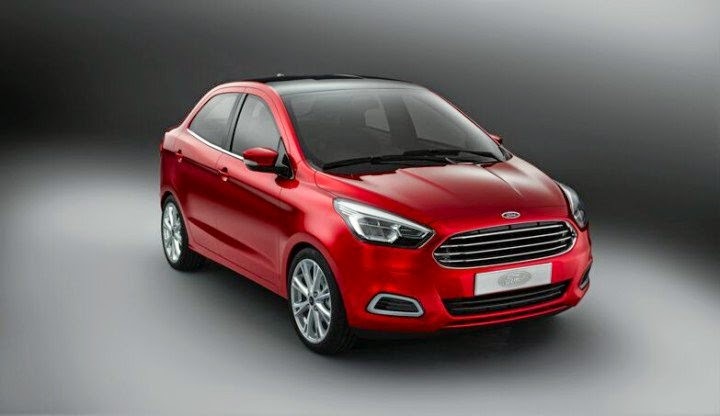 1.6L petrol/diesel added with dual transmission modes (Auto/Manual). Skoda Auto started its operations in India as Skoda Auto India Pvt. Ltd in November 2001. In India, the company is currently selling following car models - Skoda Laura, Skoda Fabia (manufactured in India) and Skoda Superb, Skoda Yeti (Imported) with Skoda Octavia model discontinued in 2010. It is a known fact that Skoda India never compromises on comfort, technology and looks, and this time also it is evident that they have delivered a mind-suiting eye candy. 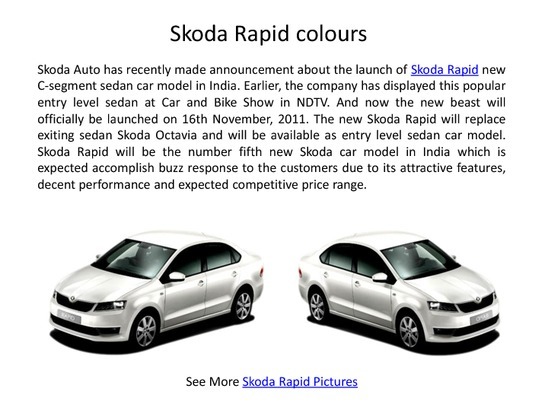 The Czech carmaker seems to be on the track to further revolutionize India with Skoda Rapid. Rapid is being built at the company’s Chakan facility in Pune and Indian will remain the manufacturing hub for Rapid. Skoda Rapid comes in both petrol as well as the diesel variants. The diesel Skoda Rapid is powered with 1.6 litre of TDi with 1598 cc displacement unit that produces 105 PS of power along with 250 Nm of torque. On the other hand, the petrol variant of Skoda Rapid comes with 1.6 litre-1598 cc of MPI unit, which churns out 105 PS of power together with 153 Nm of torque. This engine is more powerful than rival Honda City which displaces only 1497 cc under its hood. 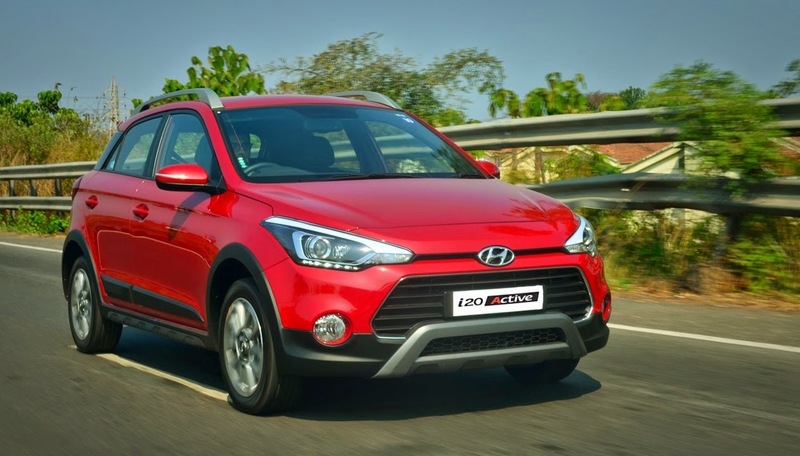 The diesel version has 5 speed manual gearbox whereas the petrol version has a choice of 6 speed automatic gearbox with a 5 speed manual standard gearbox option. 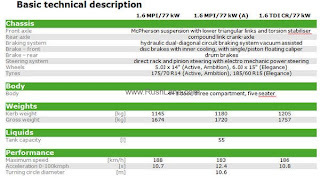 Skoda Rapid petrol boasts of delivering 12-14 kmpl from the automatic version. 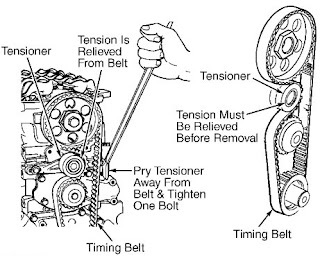 The Diesel engine might get you 13.4 kmpl under extreme driving conditions; while around 16 kmpl will be possible in routine running. Being positioned in the premium car category, Skoda has pitched in an aggressive strategy with Rapid in order to capture the market. With the superior branding and a sales backup of Skoda Fabia and Skoda Laura, the Czech carmaker will experience less effort in popularizing its new sedan Skoda Rapid. Helping this is this fact, that all the parts are highly localized because of the platform sharing with parent company Volkswagen. Besides, the diesel engine on board comes as a added advantage for Rapid in a scenario when petrol prices are too volatile to handle and when rival Honda City is available only in petrol. Skoda Rapid has prominent exteriors and plush interiors. 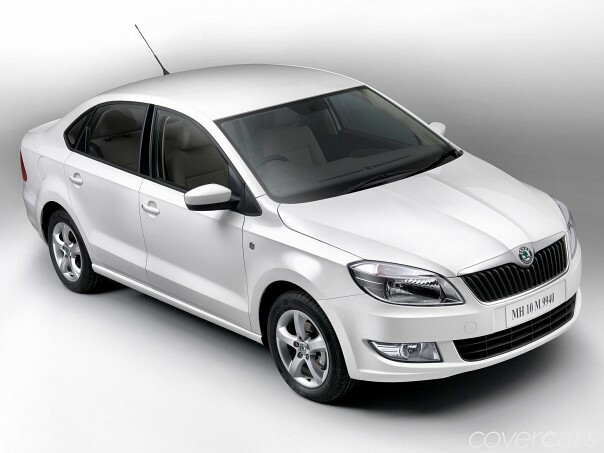 Skoda Rapid shares a striking similarity with its cousin sedan, Volkswagen Vento. Skoda Rapid has solid and rich exteriors and the emblematic nose accompanied with huge stretched headlamps making it look more delightful. The centre grille of the sedan has a chrome band, which runs all around it together with the traditional Skoda slats in black color placed just under the band. Well, this is absolutely cop pasted from Skoda Fabia. 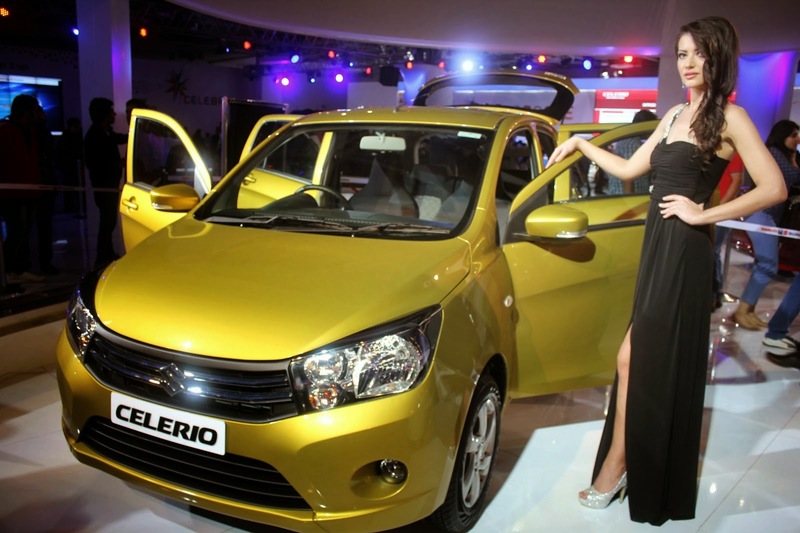 The new sedan also sports a brand new bonnet that has a little pouted design. 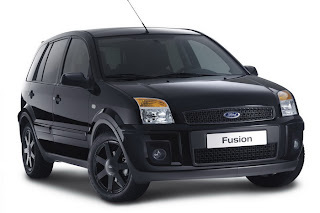 Massive fog lamps and the front bumper with slot in air dams are decently placed wide and low. The rest of the side profile and beltline of Skoda Rapid is also quite similar to Volkswagen Vento. The waistline of the sedan is very sophisticated and decent. Now the rear part of Skoda Rapid incorporates new tail lamps accompanied with a C shaped glow on brake lamps. The angular press is given to the boot lid, which looks like two dents on either side of registration plates making the back of the Rapid look much different and distinct from Volkswagen Vento. The rear bumper appears to be more clean and chic; rear parking sensors upgrades the quality. In all the exterior of Skoda Rapid are excellent in their own way, despite being similar to Volkswagen Vento. 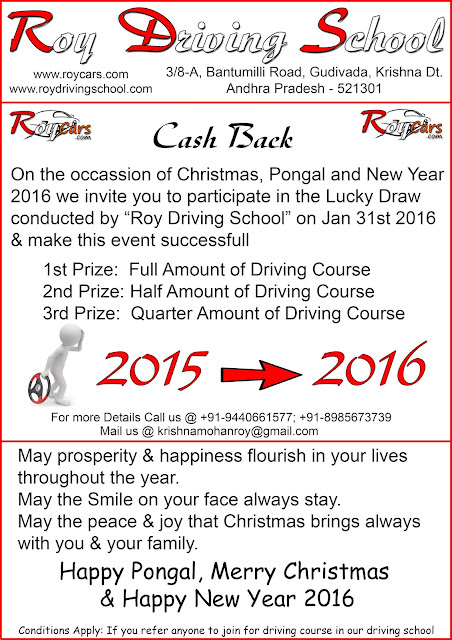 The interiors of Rapid too are plush and classy and give a tough fight to its rivals in India. The light and dark beige colored dash board sports all advanced equipments including instrument cluster, glove box, music system and air conditioning. The air conditioner also has automatic climate control feature. The 4 spoke steering with telescopic adjustments is clad in leather with chrome insert. The new sedan adorns instrument panel that has green back light, with green needles and tell it all tale trip computer in middle that comprise of clock, DTE (Distance to empty), digital fuel meter and trip meters. Skoda Rapid’s center console is placed slightly at an angle towards driver. On the safety front, Skoda Rapid has two airbags for the driver and the front passenger besides Anti-lock Braking System, front fog lamps and Electronic BrakeForce Distribution finding a place in Rapid. Engine Immobilizer, Height adjustable 3 point seat belts, high stop LED center brake lights are other features in Skoda Rapid. 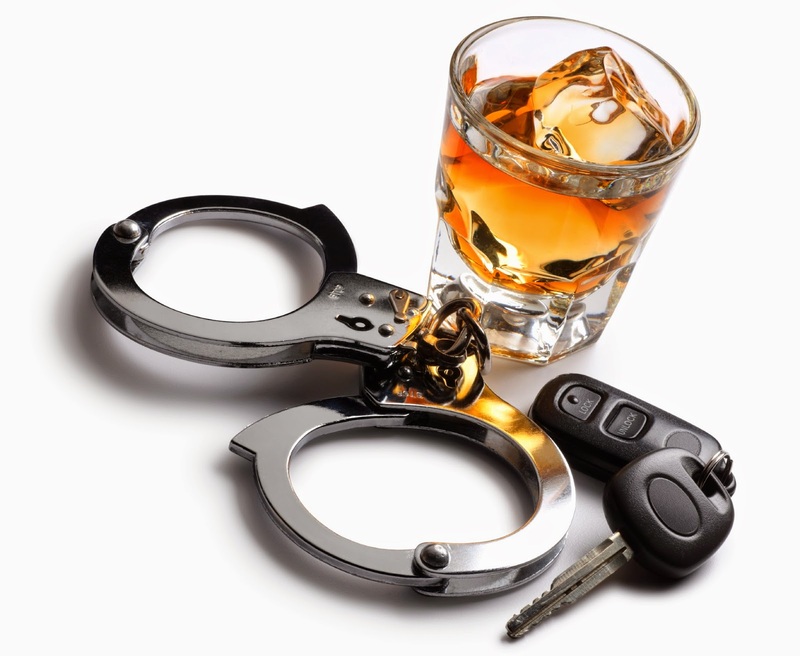 However, not all variants carry the above mentioned features. Among the comfort features, Rapid features an adjustable power steering, internally adjustable ORVMs with power fold feature, central locking, power windows, adjustable front seats, music system with MP3 and FM integrated with four speakers. The audio player can be protected by a security code. Overall, Skoda rapid is a decent offering with competitive pricing and can create a lot of action in the C-segment cars. 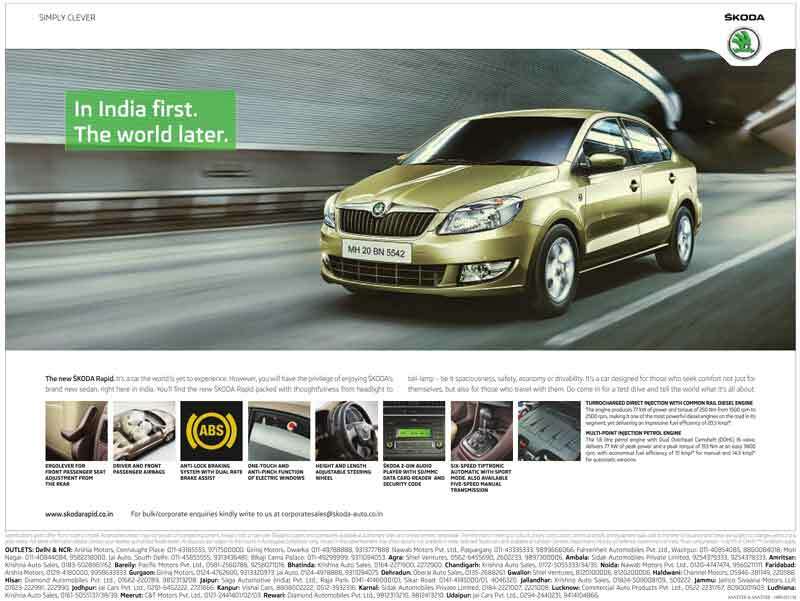 Symbolizing Skoda’s brand value – “Simply Clever”, the Rapid is ideal for the Indian streets with an attractive design, ample space, excellent safety equipment and modern proven technology. 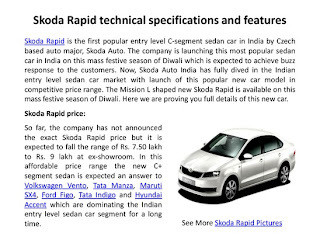 With this offering, Rapid is expected to become the cornerstone for brand Skoda in India. Skoda Rapid 1.6 MPI Active:- This is the base variant with 1.6 L petrol engine. It has manual central door locking, manual AC with adjustable rear AC vents, anti glare rear view mirrors, rear defogger, rough road package, engine immobilizer, front center armrest, tilt and telescopic adjustable steering wheel, and anti pinch system. 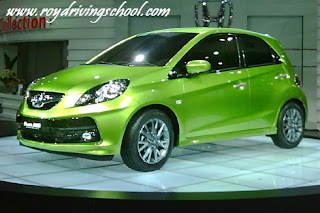 Skoda Rapid 1.6 MPI Ambition:- This is also the petrol variant with 5 speed manual transmission. It is painted in metallic colors. Remote central door locking is present. 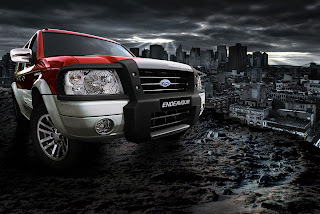 ABS, front rear fog lamps and driver airbag are added in the model. Steel wheels, Body colored ORVMs and door handles, remote control with foldable key, driver seat height adjuster and rear center armrest are other goodies stuffed in Ambition variant. Skoda Rapid 1.6 MPI Elegance:- This is the top-end version with petrol guise and manual transmission. 15 inch alloy wheels dress the lower part of this variant. Front passenger airbags are also added. A security code for audio player, AUX ports for media player and memory card, automatic climate control, electrically adjustable mirrors, MID (Mobile Internet Device). Skoda Rapid 1.6 MPI AT Ambition This is the petrol variant wherein the power is mated to a 6-speed Tiptronic transmission. 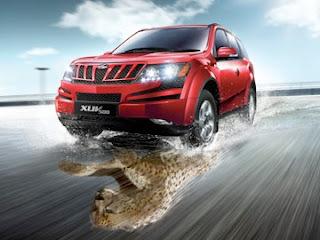 It can give a mileage of 12-14 kmpl. Rest all the features are similar to the Ambition variant. 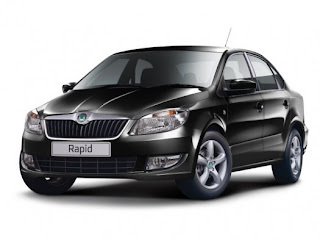 Skoda Rapid 1.6 MPI AT Elegance:- The top-end petrol version, Elegance, is also available in automatic version. 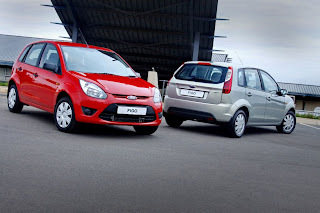 The 1.6 L petrol engine is mated to a 6 speed automatic transmission. Skoda Rapid 1.6 TDI Active:- The diesel engine does its duty in this base variant. 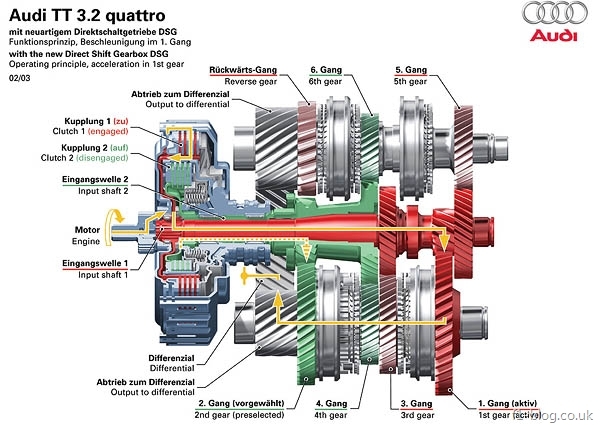 The 1.6 L engine is mated to a 5 speed manual transmission gearbox. Since it is the base variant, customers will have to be satisfied without speakers, automatic AC, Climatronic, alloy wheels etc. 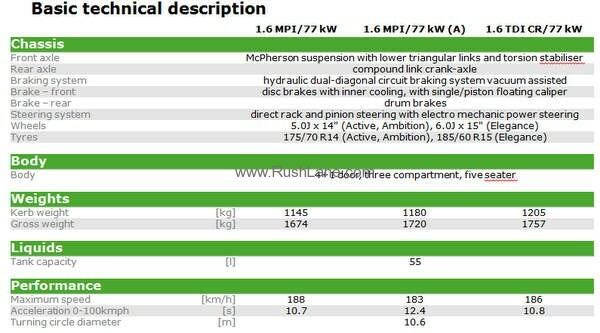 Skoda Rapid 1.6 TDI Ambition:- This is the mid-diesel trim of Skoda Rapid. Rear reading lamp, height adjustable driver seat, rear centre armrest etc are included in the features of this version. 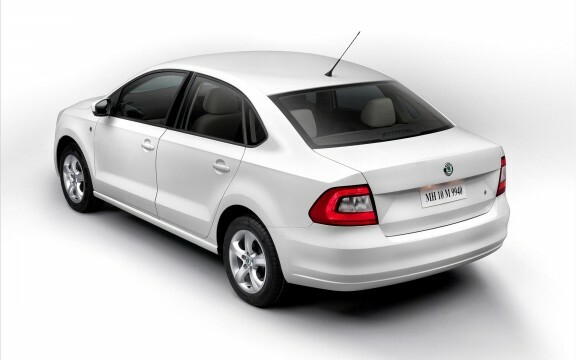 Skoda Rapid 1.6 TDI Elegance:- This is the highest graded model in the diesel line-up. 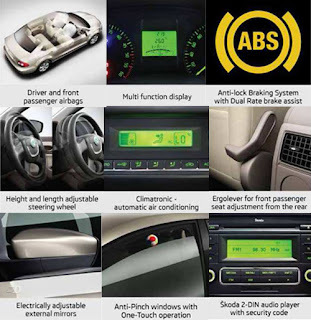 Automatic AC with climate control, security code for audio player, AUX ports for media player with 4 speakers and memory card, automatic climate control, electrically adjustable mirrors, MID (Mobile Internet Device) makes the car looks lavish.